Make sure your truck is ready for the rain: Perform a walk-around inspection to make sure your lights are on and working in all modes and tires have enough tread and are filled to the appropriate air pressure level. Take a close look at the windshield wipers to confirm the blades are clean, in good shape and operating effectively. For an added safety measure, try using rain repellent on your windshield to wick away water faster for a clearer view. Take it slow: As a tow truck driver, you have a job to do and a short time to do it in. However, sometimes slowing down a little ensures you can get more done in the long run by avoiding an accident. Reducing your speed a few miles an hour under the limit to improve control and stability is a top tow truck driving tip in rainy conditions. It’s also wise to double the following distance between yourself and the vehicle in front of you. Be cautious on turns and curves: Driving straight on rain-drenched roadways is one thing. Taking turns and curves at high speed is an entirely different ball game that requires care and precision. 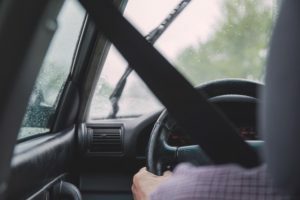 Once you reach a certain speed on a wet road, your vehicle is hydroplaning, meaning your tires are not making solid contact with the roadway. Make sure you slow down well in advance of making a wide turn or heading into a curvy section to avoid accidents. Know your limits: You’re a tow truck driver, not Superman. There’s always an extra measure of danger driving trucks in the rain. The beginning of a rainstorm often poses the most severe risks, as the water causes built-up oil, dirt, chemicals and grime to loosen and release, making the surface extra slick and slippery. When it’s coming down so hard you can barely see, the smart thing to do is get off the road and wait it out. Remember to never drive through floodwater, as it’s impossible to tell how deep it is or detect if there are any hazards such as electrical wires hidden below the surface. Following these tow truck driving tips and remaining focused ensures you’re doing your part to improve safety for everyone on the road. For more about quality towing equipment and safe operating practices, contact Lift and Tow online or call us at 717-496-0839, the original hidden wheel lift creator. We carry a variety of reliable products for converting pickups into tow trucks at an affordable price.